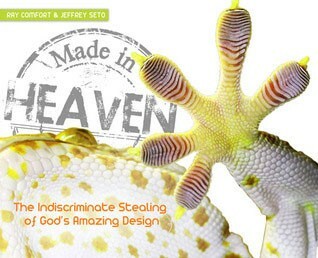 This beautiful, full-color book shows science shamelessly steals from God's creation, yet refuses to give God the glory! Makes an ideal gift. Hardback | 80 pages | Full-color | Ages 14 and up | Ray Comfort | Take a sneak peek inside. 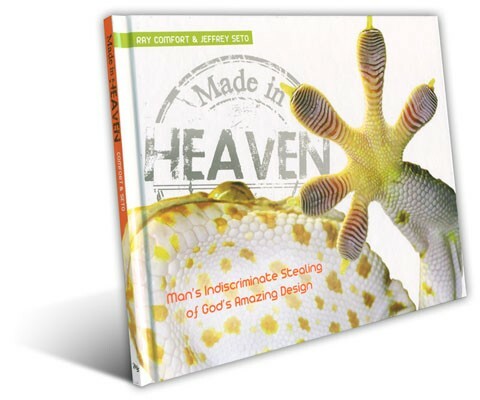 "This is a well-researched and beautifully written study showing the brilliant intricacy of God's design as revealed in nature. Look anywhere in creation and you will see vivid evidence of God's "invisible attributes, namely, his eternal power and divine nature . . . clearly perceived, ever since the creation of the world, in the things that have been made" (Romans 1:20). This book is also a graphic reminder that "there is nothing new under the sun" (Ecclesiastes 1:9), because even the cleverest, most innovative ideas of modern human ingenuity are actually features borrowed from the amazing work of God in creation." "Every page of this fascinating work prompts my heart to acknowledge and praise the infinite wisdom of our God. It is full of facts and illustrations that puncture the smug arrogance of atheistic materialism. Here is a clear and convincing answer to those who think modern science somehow justifies unbelief." "I read it cover to cover and the pictures are beautiful and vibrant. It covers a wide range of inventions and discoveries that I didn't realize were inspired by the natural world. 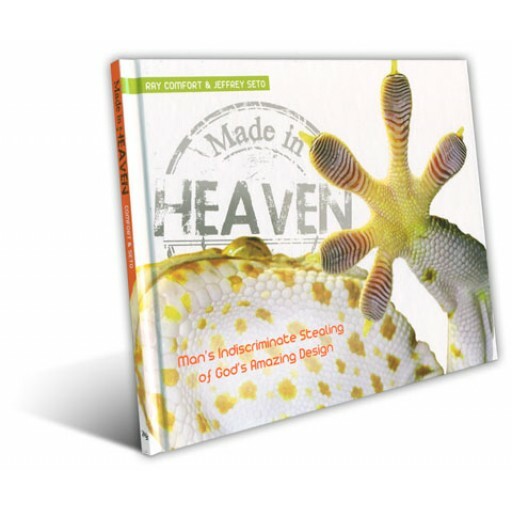 Made in Heaven breaks down the science in a way that can be taught to a high schooler." "A Book That Easily Refutes the 'Apparent' Design Canard"
"As Much Worshipful as it is Educational." This makes for a good table top book. Review by Charles D.
Incredible examples Review by Chris R.
Good for all ages. Review by Giaga T.